The smartPanel mount line is a flush mounting system to easily dock and seamlessly integrate your Apple iPad or iPhone into your aircraft instrument panel – giving it a clean, professional appearance in an easy to view position! 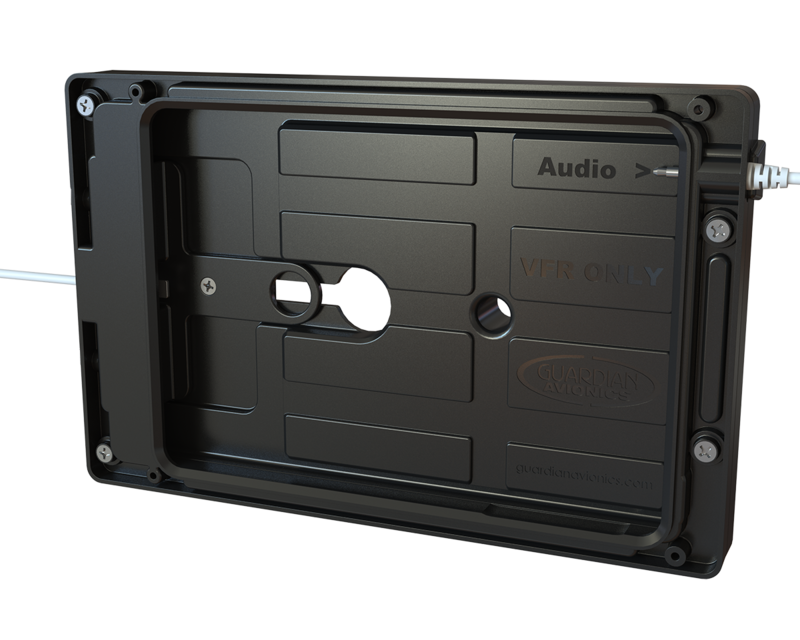 Once installed, the smartPanel mount allows your iPad or iPhone to be docked in seconds, fully connected to power and audio with built-in cable ports. Removal is just as easy – just slide, push, and remove! 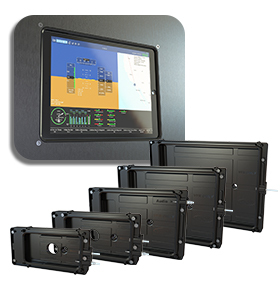 Transform your new or existing panel and use the Guardian Avionics smartMFD app along with all your favorite iOS apps for aviation in the cockpit with smartPanel for iPad and iPhone! 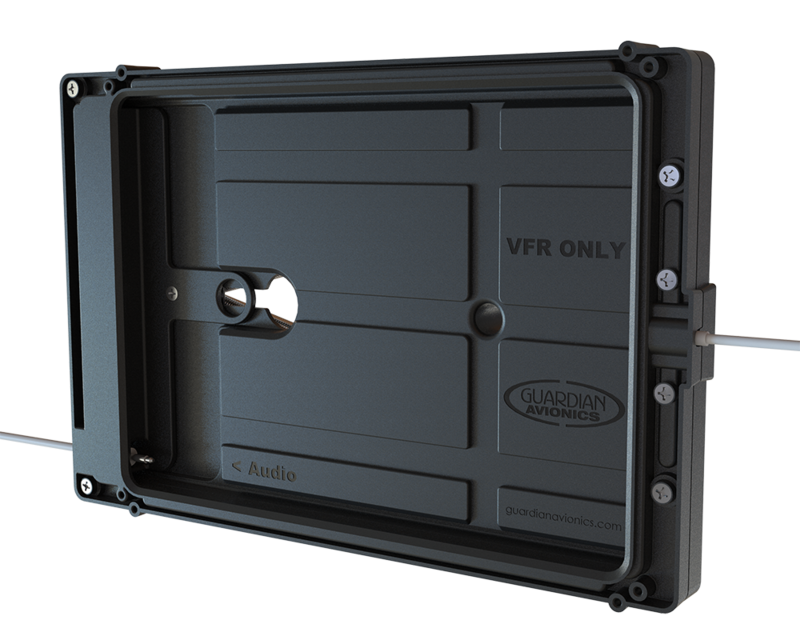 Use Your iPad as a Budget-Friendly Glass Panel for General Aviation. All smartPanel mounts were designed by aerospace engineers to perform in the unique environment of the cockpit. 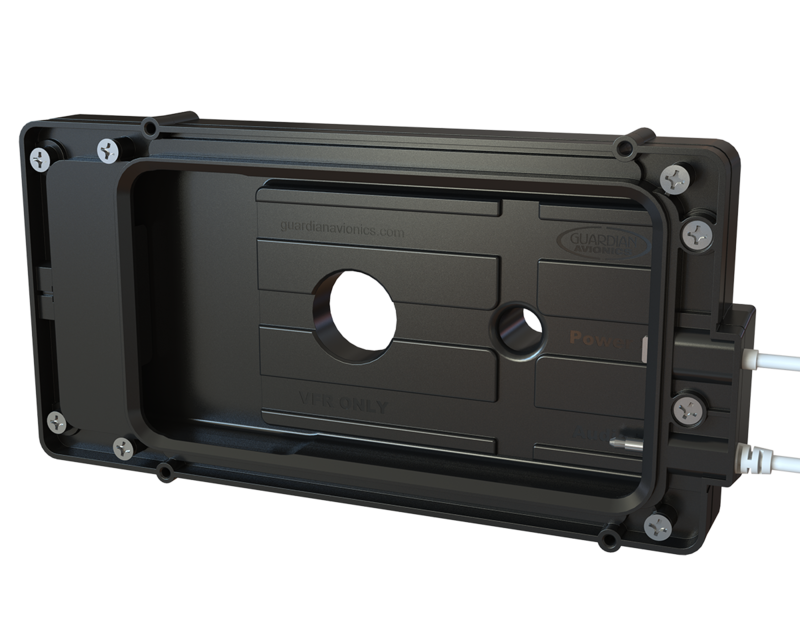 The spring actuated mounting cradle securely holds the iPad or iPhone in place during the roughest of turbulence. 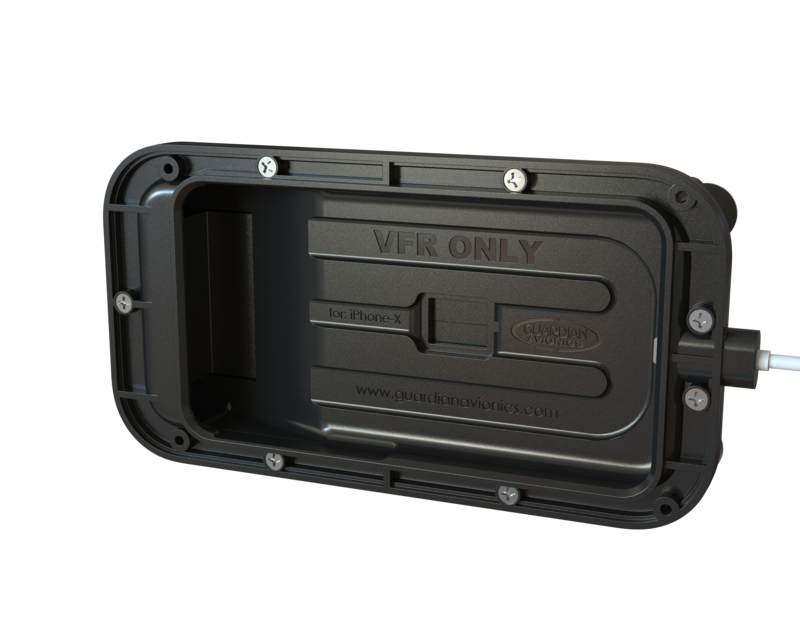 The clean, flush mount has a shallow chassis allowing it to be easily installed in even the smallest of instrument panels. Built-in ports for the Apple Lightning plug and a 3.5mm audio cable help keep cables safely and securely positioned behind the panel, allowing you the ability to connect to power, data, and audio without the cord mess. As they are being used, iPads and iPhones generate heat that can affect performance – resulting in a high-temperature shut down when you might need it most! Pilots have found this out the hard way when using a temporary mounting solution like Velcro to attach their unit to the instrument panel. 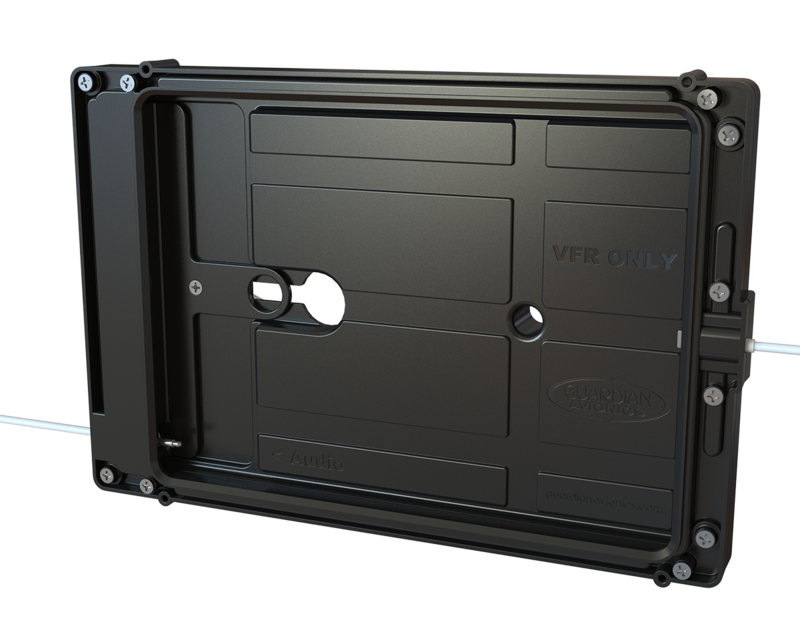 The smartPanel mounts were designed with cooling in mind. Each mount has a 5/8” tapered hose / tube port built-in, allowing you to attach it to a standard avionics cooling fan. 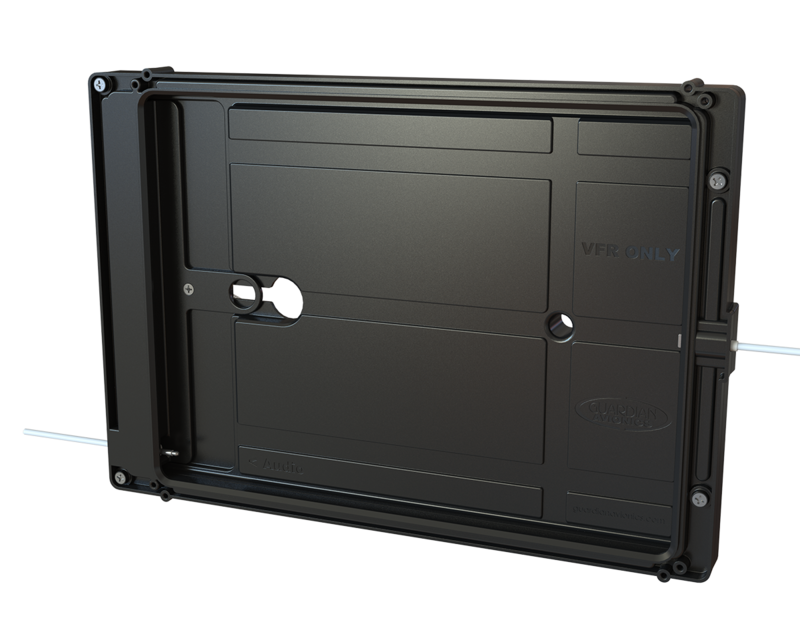 Each panel mounting tray features cooling channels to circulate air behind your iPad or iPhone to keep it cool even under the heaviest of use. Simple Installation in Certified and Experimental Aircraft. All smartPanel mounts are designed for easy installation in your panel. 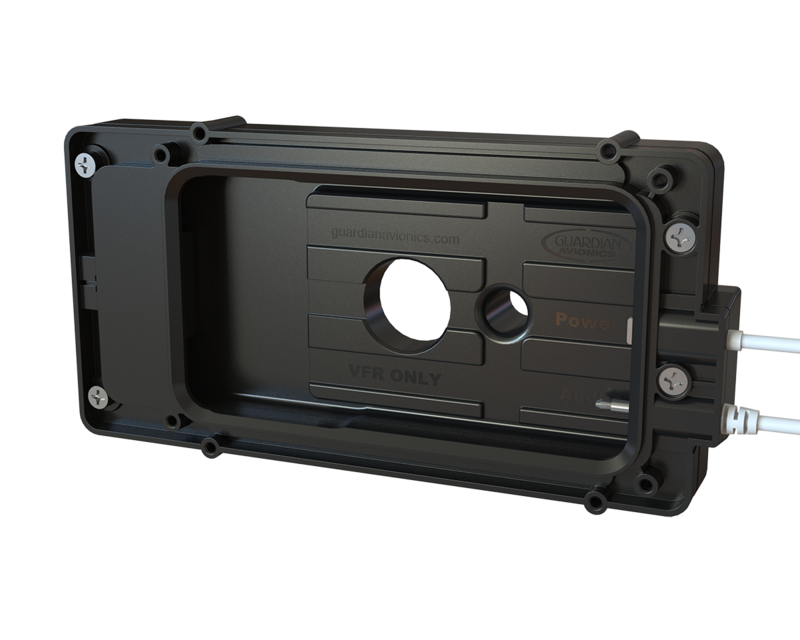 Each durable molded ABS plastic unit is self-contained and mounts with only four screws. Our installation drawings give you the exact panel cutout details and screw positions in either PDF or AutoCAD DXF for precise cuts. All iFDR Panel Mounts are approved for installation in all Part 23 aircraft and Part 27/29 helicopters under the FAA NORSEE (Non-Required Safety Enhancing Equipment) authorization.